The NBA Playoffs start today as the Orlando Magic will face the Toronto Raptors in the first game of the series. The Magic will head into this game after a 122-114 road win over Charlotte in their last game of the regular part of the season. While on the other side, the Raptors closed the season with a win over Minnesota with a score of 120-100. The Magic managed to secure a playoff spot this season. Moreover, this team hit a top form in the last crucial weeks of the regular season. Therefore, this strong form enabled them to secure 4 wins in a row. 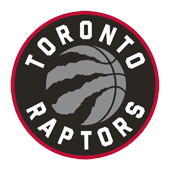 This is a solid team but it will be hard for them against the strong Raptors team. On the offensive side of the game during the regular season, the Magic scored an average of 107.3 points per game. Moreover, their average boards’ record per game was at 45.4 boards per game combined with 25.5 assists per night. On the defensive side of the game, the Magic concede an average of 106.6 points per game. Therefore, this record is enough for the 5th spot in the league in scoring defence. The Raptors are one of the better teams in the league this season. Moreover, they were in a tight race for the top spot in the Eastern Conference with the Bucks. Moreover, this team is still in a good form as they won 7 of their last 10 games in the regular part of the season. Also, they have the in-form Kawhi Leonard as he is one of the most effective players this season. On the offensive side of the game during the regular season, the Raptors scored an average of 107.3 points per game. Moreover, their average boards’ record per game was at 45.2 boards per game combined with 25.4 assists per night. On the defensive side of the game, the Raptors concede an average of 108.4 points per game. Therefore, this record is enough for the 9th spot in the league in scoring defence. The Magic are on a good run and they have a very good chance in this game. Also based on their current form, it seems that they are the favourites to win the first game. However, the Raptors mean business this season. And especially at home, this team is very strong. Therefore, I expect that Toronto will use the home advantage to win this game in a tight contest. 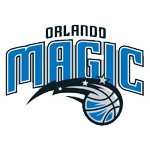 My Free Pick & Prediction for Orlando Magic vs. Toronto Raptors 04/13/2019 is: take the Toronto Raptors -400 (Moneyline).